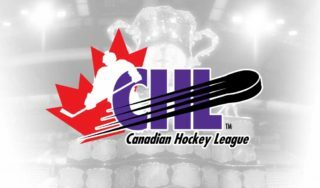 Niagara IceDogs captain Ben Jones joined teammate Akil Thomas in reaching the 100 point barrier on Saturday, recording an assist in a 7-4 road win over the Barrie Colts. 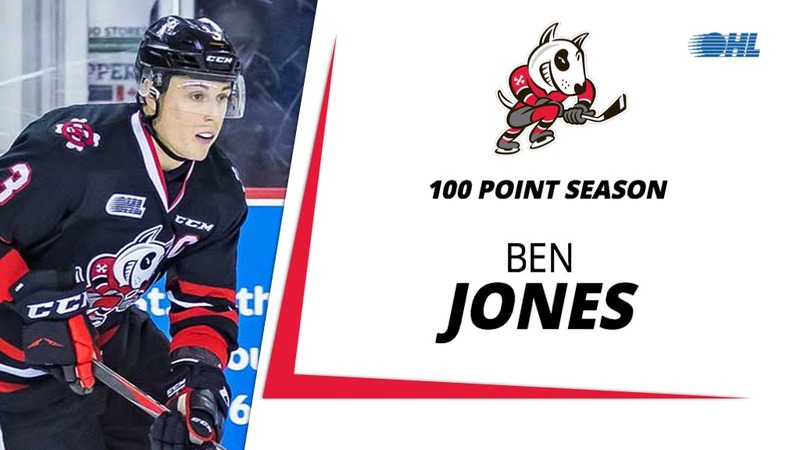 Jones becomes the fourth player in Niagara IceDogs history to reach triple digits in a full season with the team following Ryan Strome (2010-11), Luca Caputi (2007-08) and Michael Swift (2007-08). 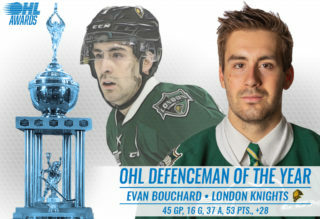 The 20-year-old native of Waterloo, Ont. 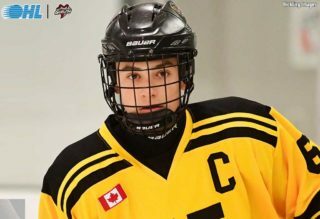 is in his fourth year with the franchise after being a first round (7th overall) pick in the 2015 OHL Priority Selection. Over the course of his 259-game OHL career, Jones has collected 88 goals, 151 assists and 239 points. 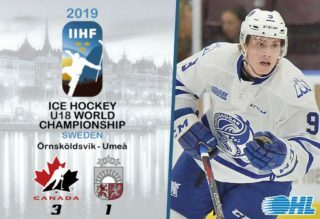 The Toronto Marlboros Minor Midget graduate and former OHL Cup champion is considered one of the OHL’s best faceoff men, seeing ice time in all situations with the Central Division leading IceDogs. 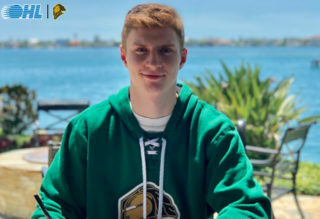 Jones was a seventh round pick of the Vegas Golden Knights in 2017. He signed an entry-level contract with the club in June 2018.